Supporters of Wikileaks whistleblower Chelsea Manning have called for her release from prolonged solitary confinement at a jail in Alexandria, Virginia. 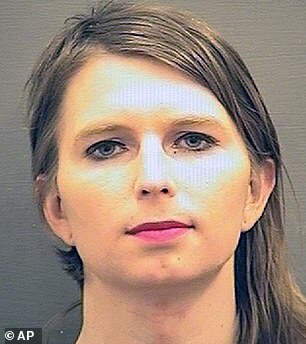 Manning, 31, a former Army intelligence analyst, was jailed on March 8 after she refused to testify before a grand jury investigating WikiLeaks. She said she did not like the secrecy of grand jury proceedings and that, when she was court martialed in 2010, she already revealed everything she knew. US district judge Claude Hilton ordered her to be held at William G Truesdale adult detention center until she agrees to testify or until the grand jury is done working, reported The Guardian. ‘We have worked to monitor Chelsea’s well-being since her arrival at Truesdale,’ the statement read. ‘In her first week she contracted a bacterial infection, which has since been resolved by antibiotics. The statement also revealed that she is not allowed to be out of her cell when other prisoners are out of their cells nor can she talk to other people. The only time Manning is allegedly allowed out of her cell is between 1am and 3am, and the group says she has not been outside for 16 days. ‘The jail says keeping ‘high-profile’ prisoners in adseg is policy for the protection of all prisoners, but there is no reason to believe jail officials view Chelsea as either a target or a risk,’ the statement continues. While the group says she’s been given her hormone medications, they worry spending so much time in isolation could have an ill effect on her mental health. ‘Chelsea is a principled person, and she has made clear that while this kind of treatment will harm her, and will almost certainly leave lasting scars, it will never make her change her mind about cooperating with the grand jury,’ they said. Alexandria Sheriff Dana Lawhorne, however, disputes that Manning is being held in those condition. The sheriff says the facility does not have solitary confinement but uses ‘administrative segregation’ and inmates have access to visits, books and recreation. 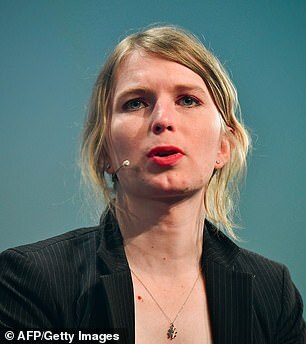 At the time of her arrest, Manning was known as Private Bradley Manning. She was convicted of leaking thousands of sensitive government documents related to the war in the Middle East to WikiLeaks in 2010. She pleaded guilty and was sentenced to 35 years in prison, but in January 2017, then-President Barack Obama commuted her sentence. Then-President-elect Donald Trump took to Twitter calling her a ‘traitor’ who should never have been released from prison. 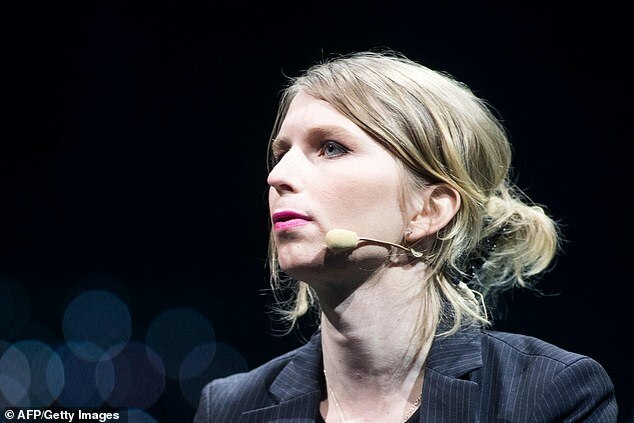 Manning gained notoriety during her prison sentence when she went on a hunger strike to protest being denied gender transition surgery. She ended it after the Army agreed to provide the surgery, but it wasn’t done until October 2018.